Availability: This product is discontinued and no longer available for purchase. For alternatives browse our Health Monitors department. The Salter ultra slim glass electronic digital scale has a sleek design that will complement any bathroom décor and ensures highly accurate readings which appear instantly after stepping on it. The scale is easy to use and store and features an oversized platform manufactured from toughened glass making it both solid and stable. Capable of weighing up to 180kg (330.3lbs), the scale is not only durable, but also lightweight and sensitive and offers a large, clear and easy to read LCD screen. This budget-friendly pick is a perfect addition to your home and an essential tool in any weight management programme. 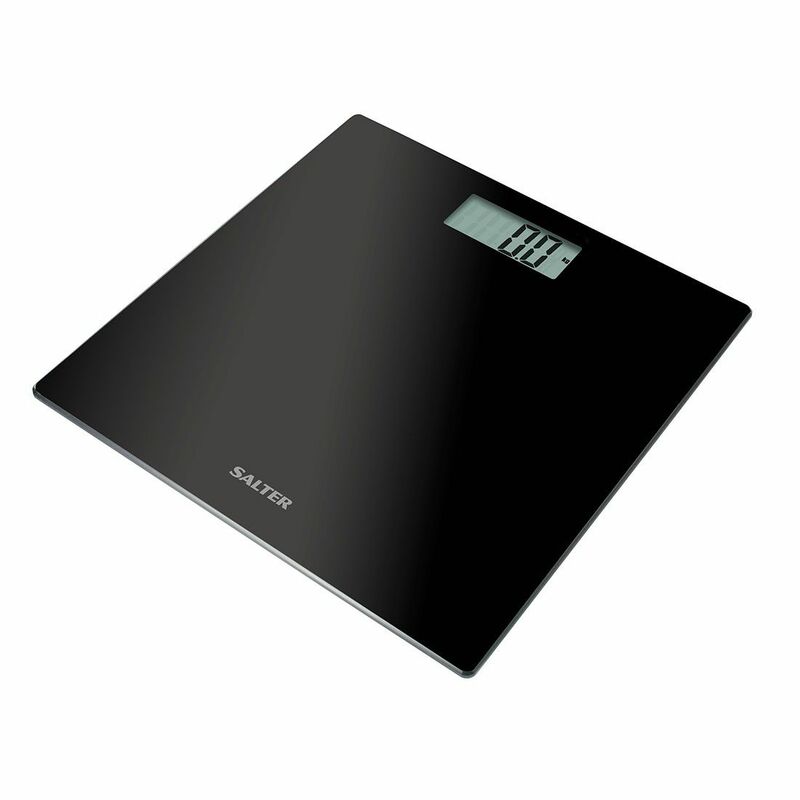 for submitting product review about Salter Ultra Slim Glass Electronic Digital Bathroom Scale.